Most of the time, when three friends hanging at a bar set out to start a band, it doesn’t go much further than there. However, what usually withers into a faint, unfulfilled thought instead became a catalyst for François Lafontaine, Samuel Joly and Joe Grass as they formed Klaus, a sort of technicolor musical playground they themselves have difficulty defining. After first meeting while accompanying Marie-Pierre Arthur, the trio spent years working together on other people’s projects and jamming with numerous musicians until it became very clear to them that they needed to go beyond and venture on their own. Two weeks later, they met up at Joe’s studio and began their endeavor under a very commonly talked about and often unrealised mindset : no rules, no pre-established direction to follow. Instead, they dug up relics of unfinished projects, the ones left in attics because they couldn’t find the right people to indulge in their reverie. They deconstructed the very structures they’d known their entire careers, crafting and crinkling up morsels of riffs and sounds that don’t work together to, coincidentally, make them fit seamlessly. Simply put, they created an impossible mosaic of fragmented melodies. After a while, once the three veterans had mustered up a couple of songs, they realized they were holding something worthwhile. Cut to two years later, and they’re finally ready to release a 10-track eponymous record on which they stipple an unfixed blend of moving colours, shifting textures and echoing patterns. 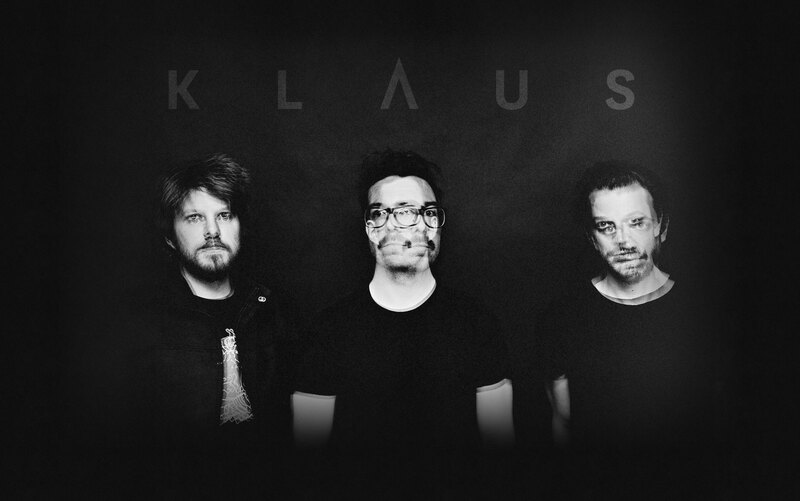 Klaus is a collection of musical puzzles created by three professional dilettantes.